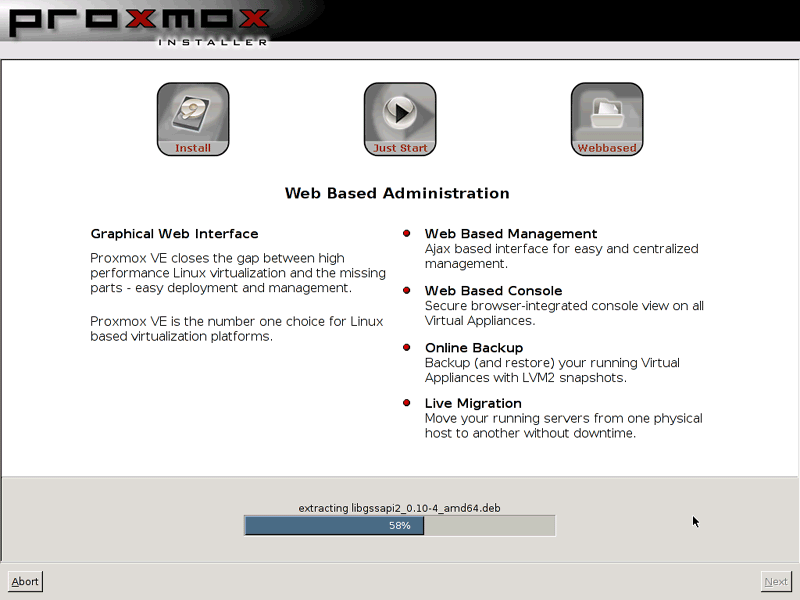 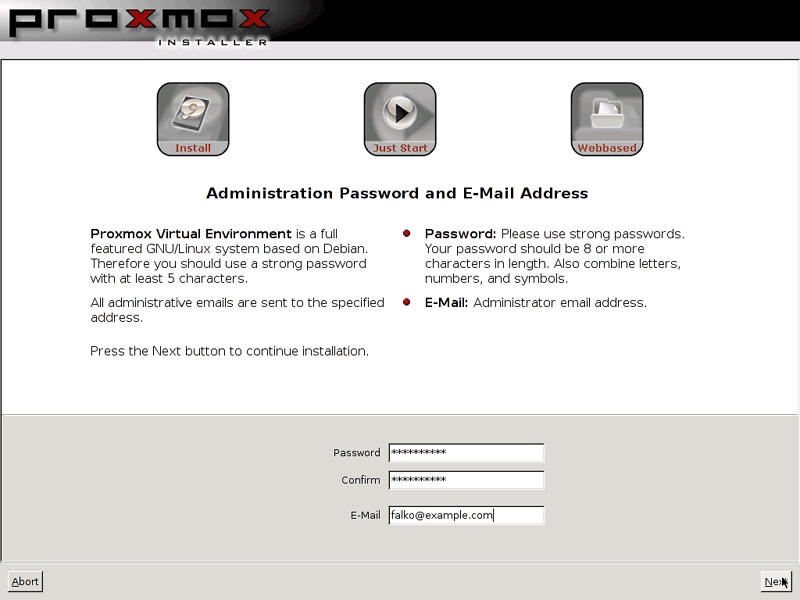 Proxmox VE (virtual environment) is a distribution based on Debian Etch (x86_64); it provides an OpenSource virtualization platform for running virtual machines (OpenVZ and KVM) and comes with a powerful, web-based control panel (it includes a web-based graphical console that you can use to connect to the virtual machines). 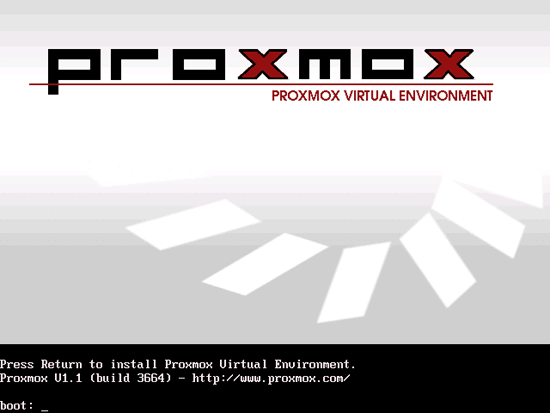 With Proxmox VE, you can even create a cluster of virtualization hosts and create/control virtual machines on remote hosts from the control panel. 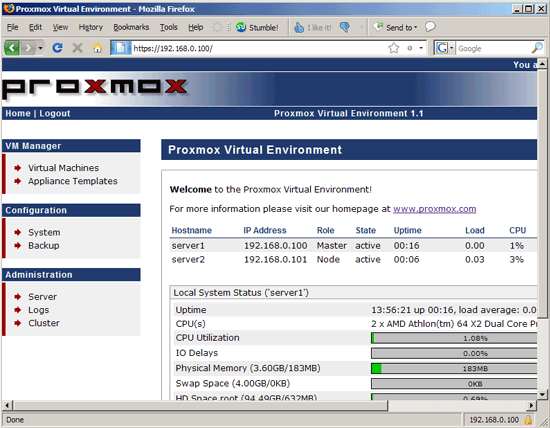 Proxmox VE also supports live migration of virtual machines from one host to the other. 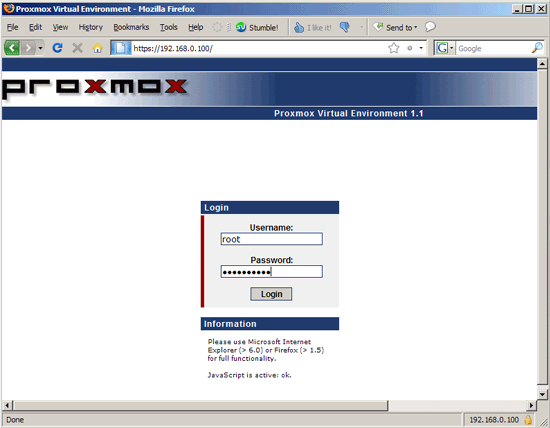 This guide shows how you can use Proxmox VE to control KVM and OpenVZ virtual machines and how to create a small computing cloud with it. 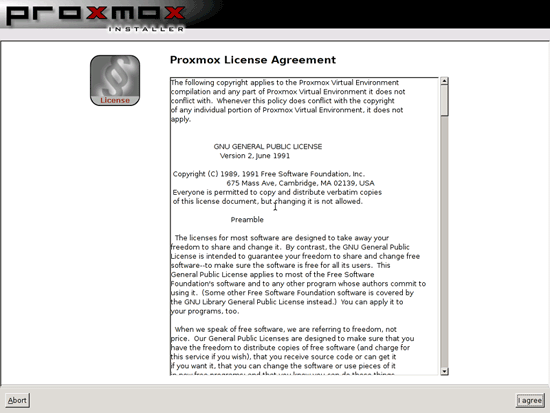 Proxmox VE is an x86_64 distribution, so you cannot install it on an i386 system. Also, if you want to use KVM, your CPU must support hardware virtualization (Intel VT or AMD-V) - this is not needed if you ust want to use OpenVZ. In this tutorial I will create a small cluster of two machines, the Proxmox master (server1.example.com with the IP 192.168.0.100) and a slave (server2.example.com, IP: 192.168.0.101) so that I can demonstrate the live migration feature and also the creation and management of virtual machines on remote hosts through Proxmox VE. 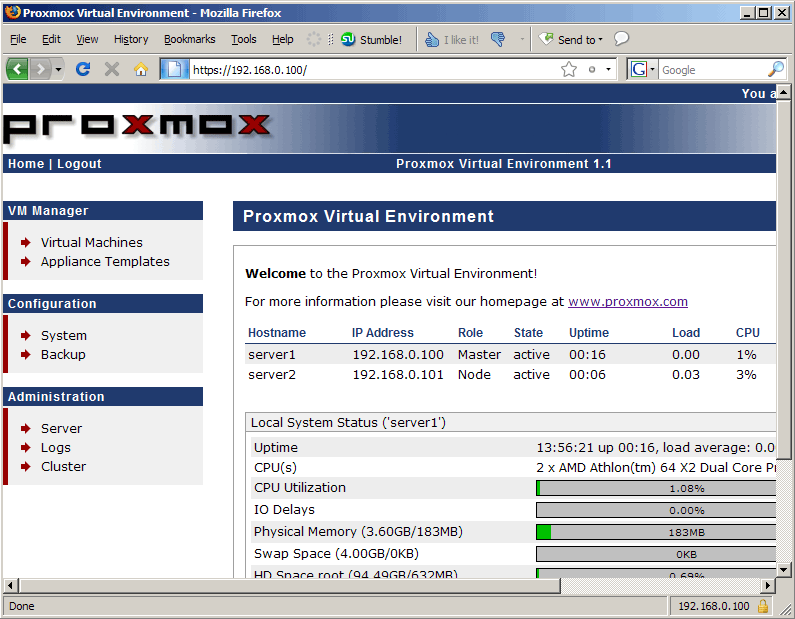 Of course, it is perfectly fine to run Proxmox VE on just one host. Select the hard drive on which you want to install Proxmox. 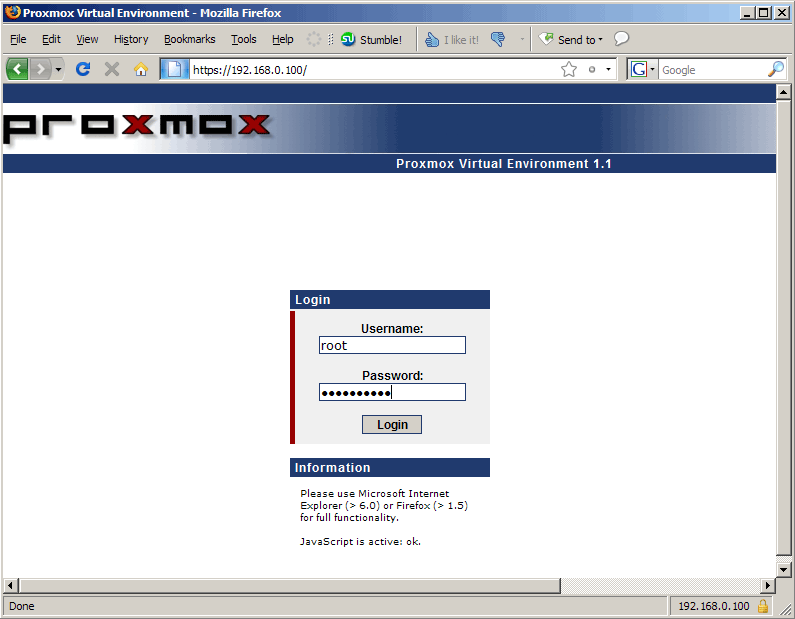 Please note that all existing partitions and data will be lost! Afterwards, Proxmox is installed. The installer will automatically partition your hard drive using LVM - that's why there is no partition dialogue in the installer. Proxmox uses LVM because that allows to create snapshot backups of virtual machines. 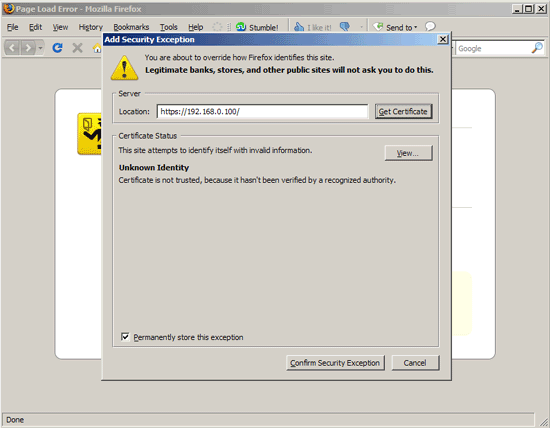 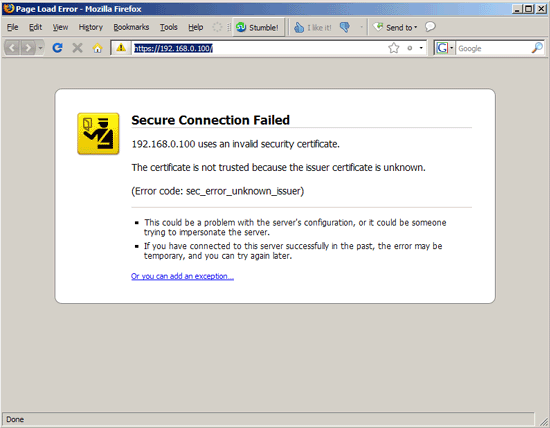 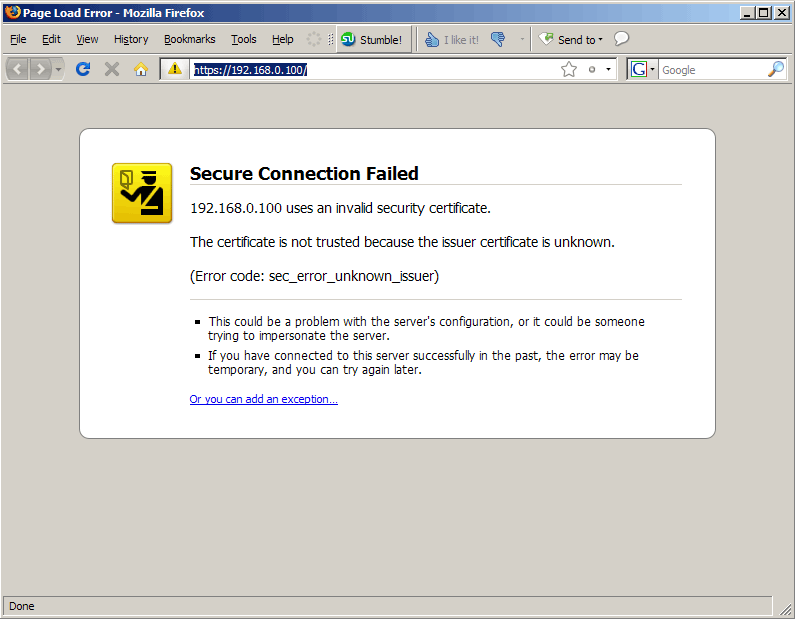 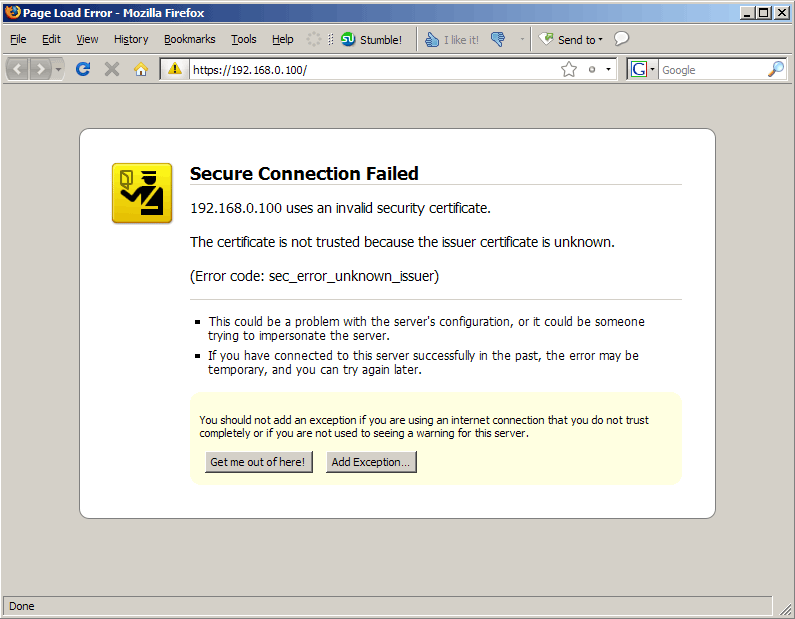 After server1 has rebooted, you can open a browser and go to http://192.168.0.100/ - this will redirect you to https://192.168.0.100/.